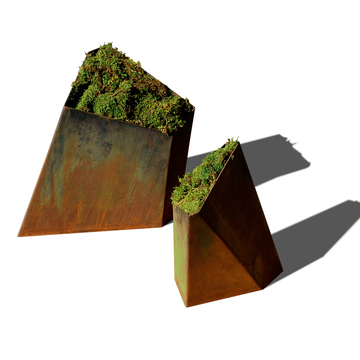 Check out these graceful, edgy planters from Planterworx. 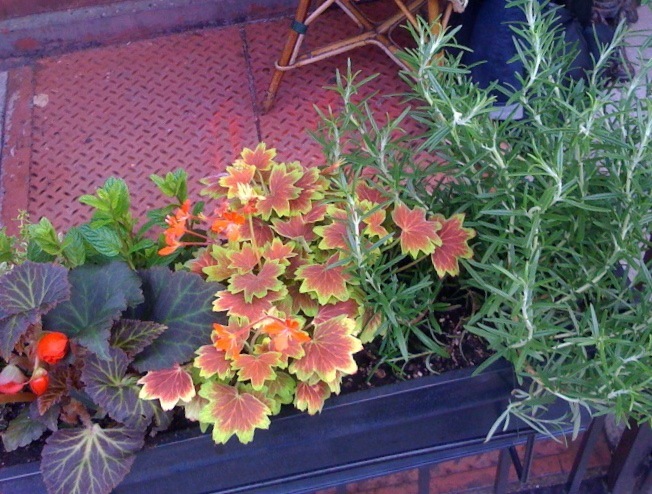 Today, Fab.com (yeah, you need to register before you can shop) has a special price on these recycled steel planters. They are handmade in Brooklyn and would be great for a modernist gardener who wants a lot of impact with a minimal amount of plants. Just watch the weight! 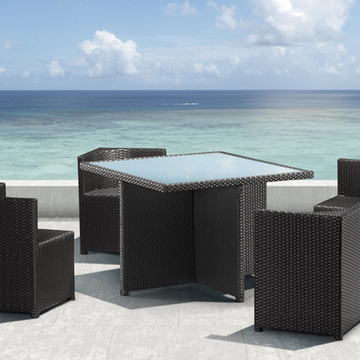 Round out the modern look with Zuo Outdoor, also at Fab.com. I hear that all things “figural” are hot. Plates passing as otters, teapots turned into top hats . 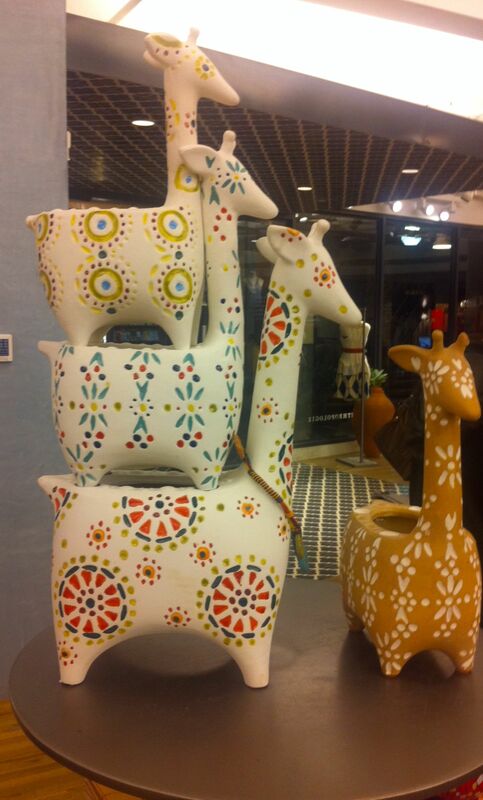 . . so why not stacking planters that looks like giraffes? Stacking planters are also super popular right now. 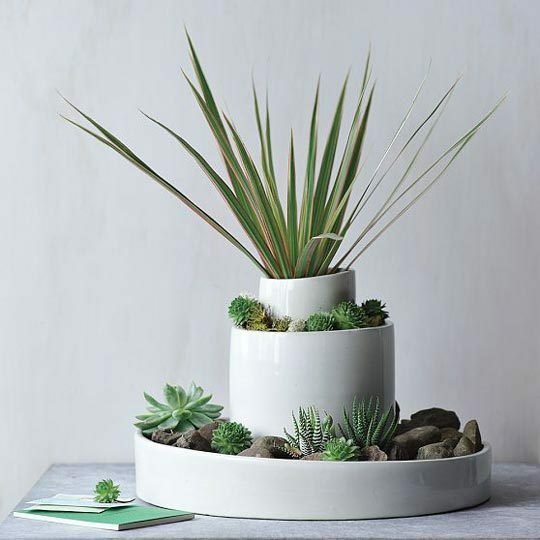 The stacking trend seems to come from at least two inspirations: trendy succulents do well in stacking planters + stacked pots help us space-challenged city gardeners to give more plant a home. 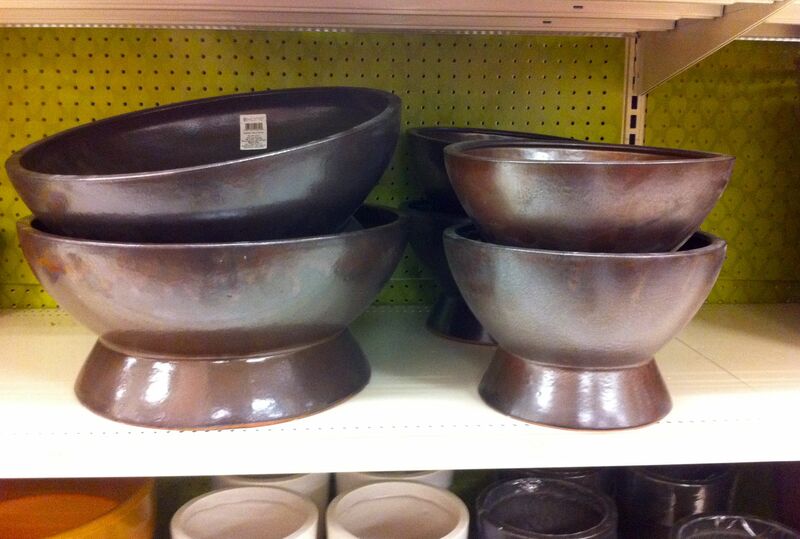 It is a bummer that there are not drainage holes in these $128 pots. If you want to embrace the figural trend, but aren’t up for all the color, maybe you could try the taupe version of these stacking planters? 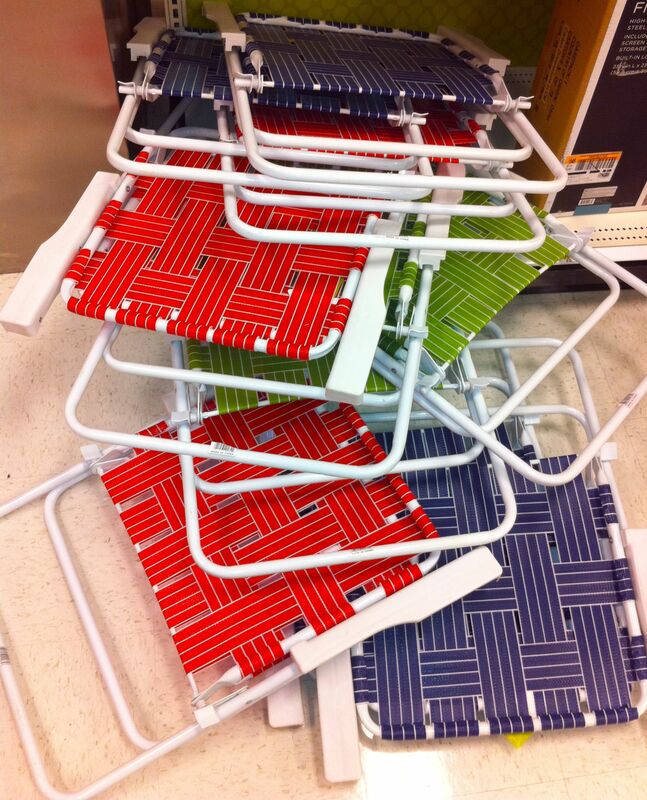 How great are these old-school webbed lawn chairs in Americana colors plus margarita lime? These instantly brought back memories of early childhood trips to the Catskills and my grandparents buying kits to re-web their old lawn chairs. The affordable solar lights are another draw at Target. We didn’t buy any on our first trip out, since we’ve found that our target does a pretty good job keeping these in stock all summer. 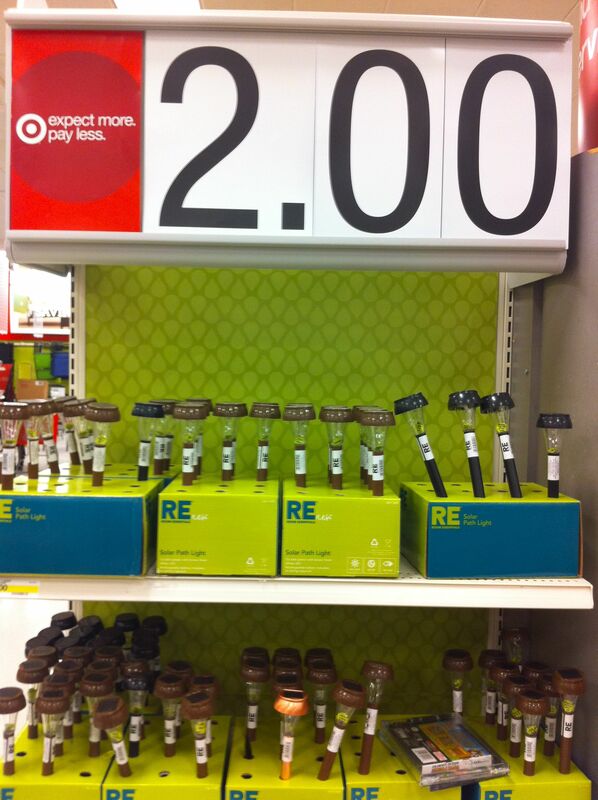 Plus shoppers can find something very similar in Home Depot. One more thing to keep an eye on: Target now owns the Smith and Hawken brand and sells the exclusively. They didn’t have many of these items in our store, but we’re looking forward to seeing more Smith & Hawken come in as the season moves along. 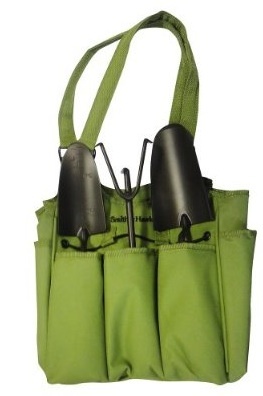 I found this set of tools and a carrier online. I hope they keep the quality up on these items. I can’t be the only one stalking these big box stores for garden fun. What are your best finds so far? Is it spring yet? R* and I miss the roof garden so much. We’ve been trying to bring some garden style inside with some cut flowers and a few houseplants that don’t need much light. The new indoor gardening collection by Shane Powers for West Elm is just the inspiration we need. Read more about the collection at Apartment Therapy and shop the new line at West Elm. 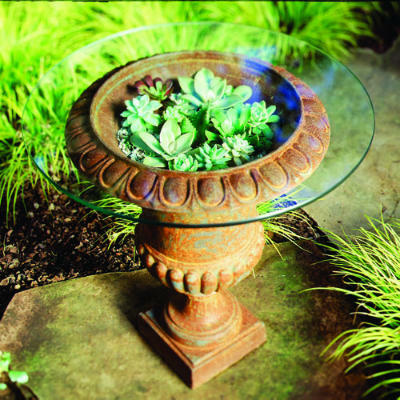 Would You Ever Make a Terrarium Table? Our small, shared roof garden needs to fit people, a patio table and chairs, a few lounge chairs, two grills, and the occasional dog or two. And then there’s the plants! We’re running out of space for plants! 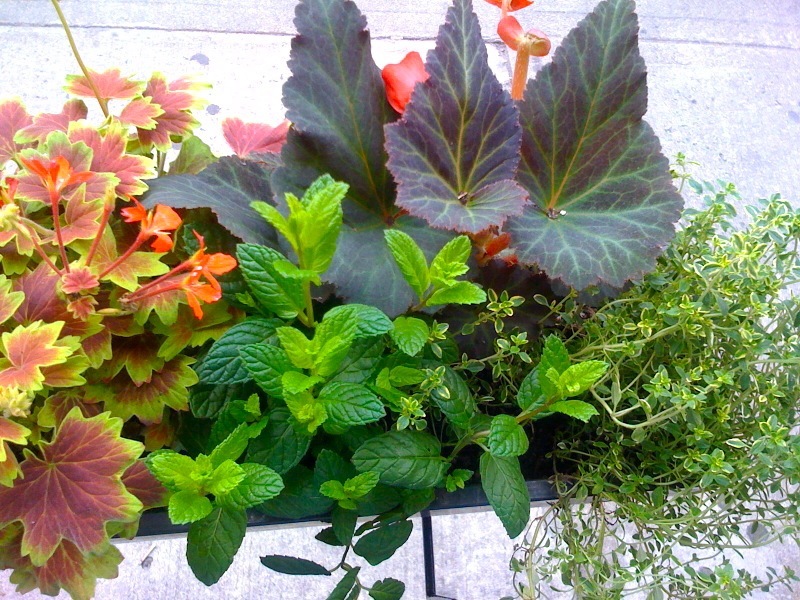 While Sunset Magazine’s table-as-container-garden would create a special new space for plants, it is not so practical. Umbrella planters are a more straight forward way to bring plants to the patio table. 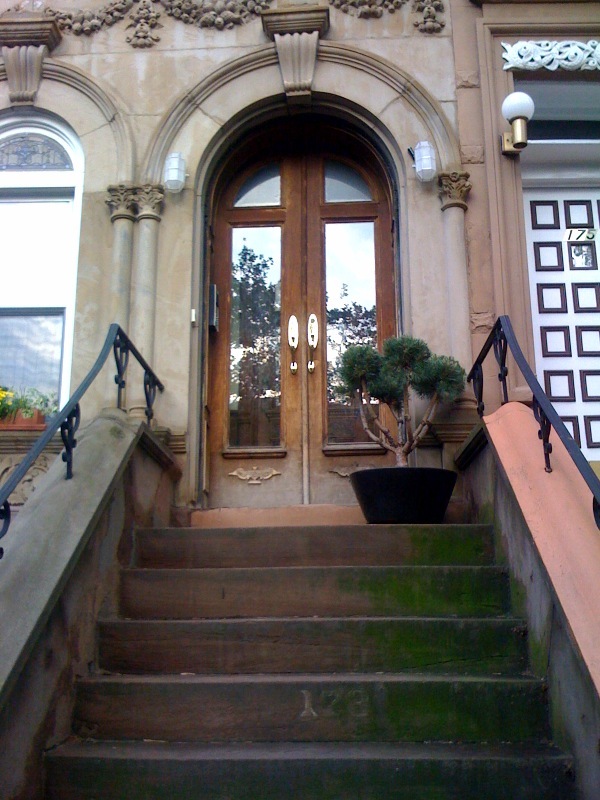 Cool stoop top container garden, right? 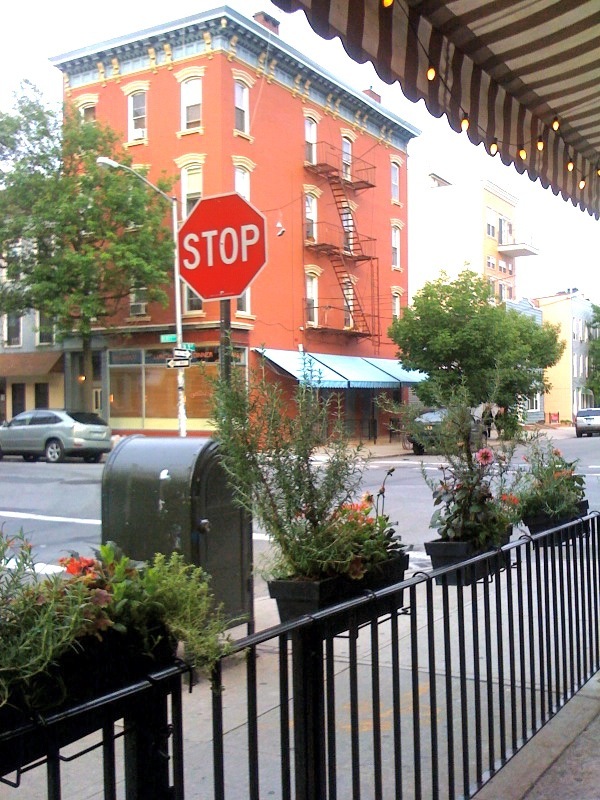 The container and the contemporary topiary bush are a great pair — and very different from what shows up on most Brooklyn stoops.